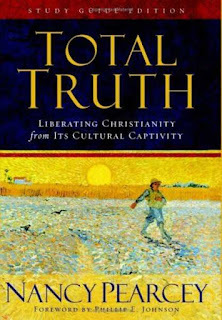 This book should have the subtitle: A Manifesto for Christian Fascism! 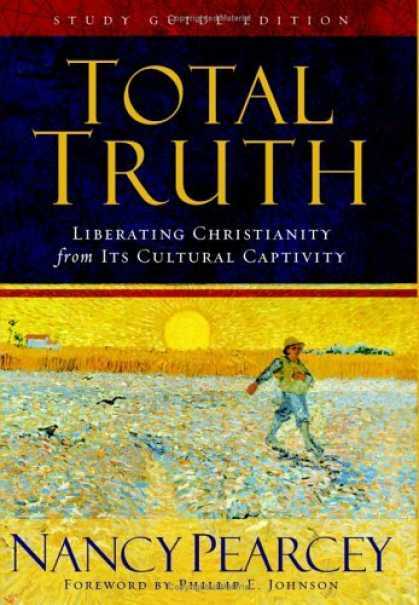 As though someone who is by Calvinist self-definition a wretched sinner, could possibly know or possess the Truth. Which is exactly what Nancy does. She also entertains the conceit that she and her fellow right-thinking true believers have NOT been influenced by the culture in which they live, and in which they are 100 per cent embedded or entangled - just like everyone else. A culture which has for at least three centuries now, been created in the image of scientism. Which now patterns every minute fraction of the USA in particular, and the world altogether. There are now over 30,000 different Christian denominations, sects and sub-sects in the world. Many of which would be completely different to Nancy's binary world-view. Especially those of a liberal persuasion. That's ridiculous. First off, Calvinism says man is depraved in his unregenerate state- Someone who's saved has a "new nature." Secondly, your whole argument is self-refuting. If Nancy is influence by her culture, so are you, and you have no reason to disagree with her. In fact, by your logic, both of you are molded by your culture and therefore agree with each other. Talk about determinism! Thirdly, the fact that there are over 30,000 different denominations (a figure I don't buy into for one second) is a red herring. So what if others disagree? It doesn't mean she's wrong. Perhaps her approach to the Bible is the right one.